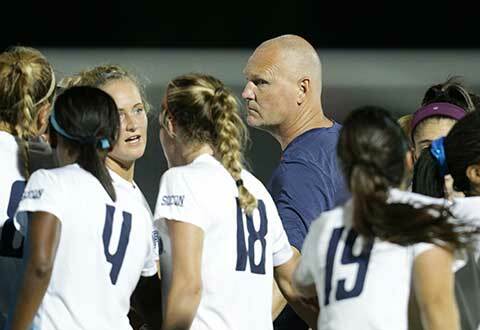 Samford University's soccer Bulldogs made history in their recent matches against Southern Conference rivals Mercer University and The Citadel. Head coach Todd Yelton got his 200th career victory in the Oct. 13 match at Mercer. Yelton owns an impressive 200-88-36 record at Samford and has been named the SoCon Coach of the Year in each of the previous three seasons. In the Oct. 15 match at The Citadel, the team tied their record for consecutive wins with 10 and upped its undefeated streak to 11 straight outings. The Bulldogs' winning streak tied the school record, which has now been achieved three times in history. The Bulldogs conclude the regular season with home matches against Furman (Friday) and Wofford (Sunday) before hosting the Southern Conference tournament Oct. 28, and Nov. 3-5.